While ice decreases pain and inflammation, it can also decrease blood flow and stiffen muscles. Adding massage improves blood flow, enhancing the removal of lactic acid, cytokines and injured tissue, while vibrational massage reduces pain and loosens stiff muscles. 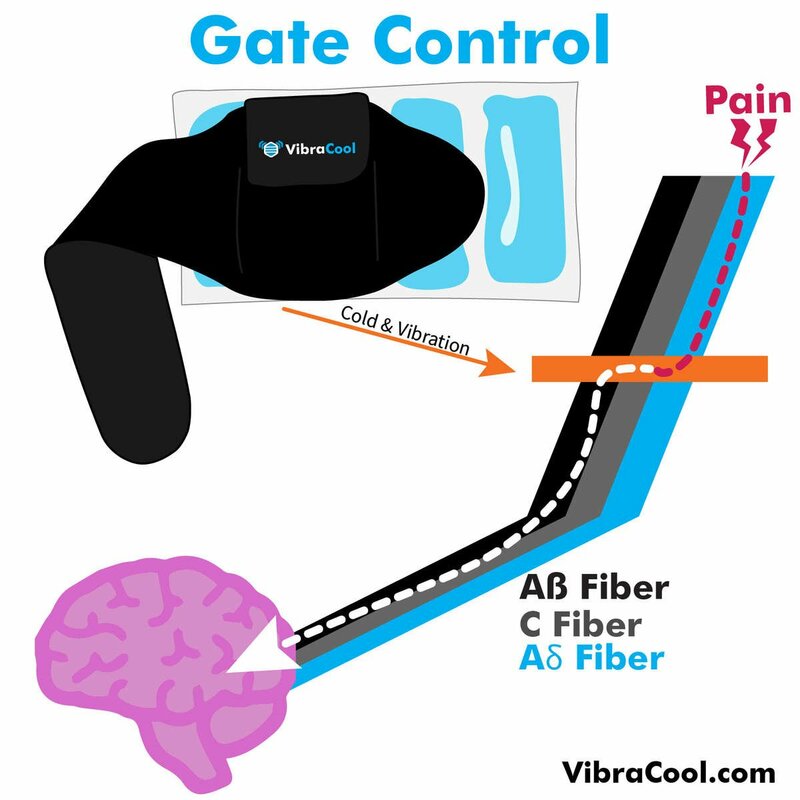 The gate control theory is the basis for the design of VibraCool®. The premise is that when nerves receive non-painful signals such as vibration or cold, the brain closes the gate on pain signals. For example, if you hit your finger with a hammer, you might instinctively begin to rub it, shake it, or run it under cold water. You are sending non-pain signals through your nerves to close the gate on the pain signals.